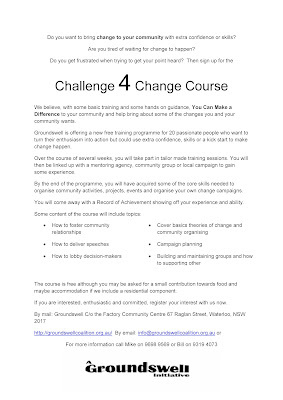 We are writing to ask for your support of the factory’s involvement in the Vinnie’s CEO Sleep out campaign. Our Executive officer Michael Shreenan along with one of our Board Members Laura Kelly will be partaking in the event to raise money forthis worthy cause. As charity ourselves, we understand the importance of fund-raising for causes and projects, and we strongly believe this cause is worthy of everyone’s support. Vinnies CEO Sleep out is a national annual event that encourages Australian business leaders to Rise to the Challenge of homelessness by sleeping out for one night to raise awareness about homelessness. 2012 Vinnies CEO Sleep out is on the 21st June. CEOs and Managing Directors receive sponsorship from employees, colleagues, friends and family. The funds raised go to support Vinnies homeless initiatives across Australia. With only nine weeks until the 2012 Vinnie’s CEO Sleep out, the first snap of cold and rain has arrived as a teaser! Did you know that over 105,000 men, women, and children sleep out across Australia each night? 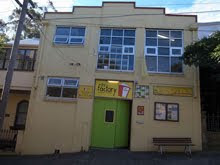 The Factory receives many enquiries from Homeless people and those that are at risk of homelessness and relies on assistance form larger organisations such as Vinnies to provide support and assistance in these cases. Our EO also has some experience of being homeless himself in his younger years and therefore knows all too well about the struggles that Homeless people face day in and day out. We would encourage you where possible to show you support by donating to the cause online by clicking the following link. 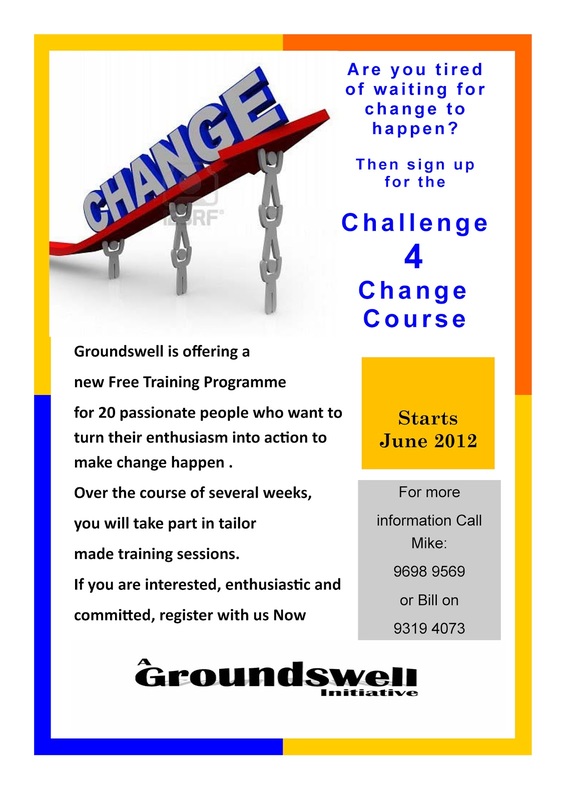 Or if you are a CEO yourself why not join Mike in ‘Rising to the challenge’ ? Bike riding is an enjoyable and sustainable transport option. That’s why more and more people are taking up bike riding on Sydney’s growing bicycle network. The City’s Cycle Strategy and Action Plan 2007-2017 aims to provide a safe and convenient bicycle network, to connect neighbouring Council areas and other bicycle networks. We are working to link the CBD with Green Square and beyond as part of this network. With 22,000 new jobs and 40,000 new residents projected by 2030, Green Square will become Sydney’s fastest growing area. The bicycle link will better connect Green Square, and residents in Waterloo, Alexandria and Redfern with the city centre and provide a congestion free option for commuters. As part of this link, the City is proposing a new bi-directional separated cycleway on George Street in Redfern; and in Allen Street, Mandible Street and Short Street in Waterloo. Redfern Waterloo Community Drug Action Team together with Weave Youth Family Community invites you to A Youth Alcohol Forum where you get a say on what you think are the issues around alcohol abuse and young people. 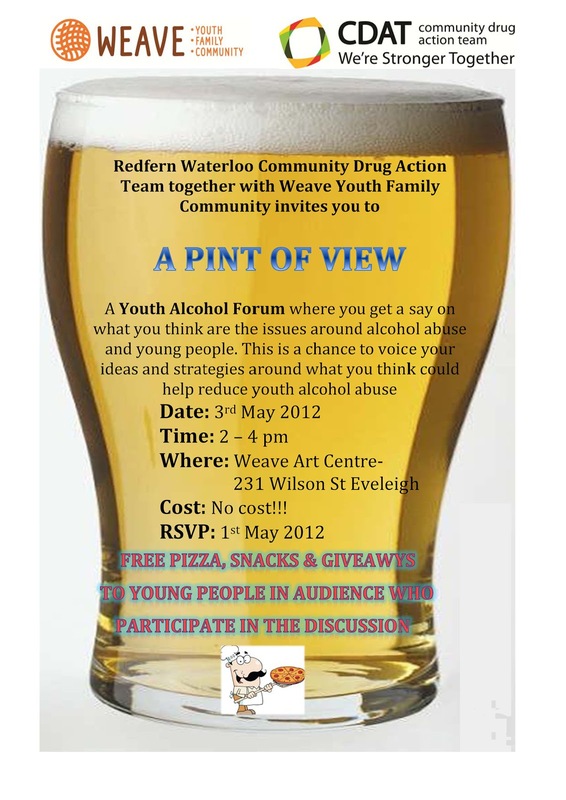 This is a chance to voice your ideas and strategies around what you think could help reduce youth alcohol abuse. 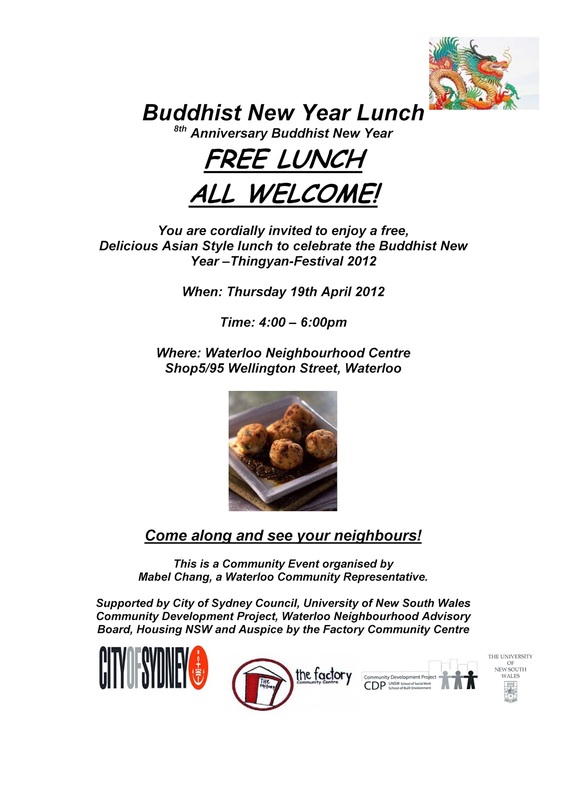 Free Pizza, Snacks and giveaways. This is an exciting new opportunity for an Aboriginal worker to join Relationships Australia’s Sydney City Family Relationship Centre in the role of Aboriginal Family Advisor. This position can either be part time or full time and this will be negotiated with the successful applicant. This new position will initially be offered under a 12 month contract to be reviewed at the end of the first year. 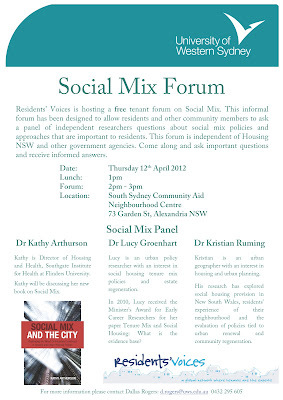 Sydney City FRC is committed to long term work with the Aboriginal community. 1977, Aboriginality is a genuine occupational qualification. 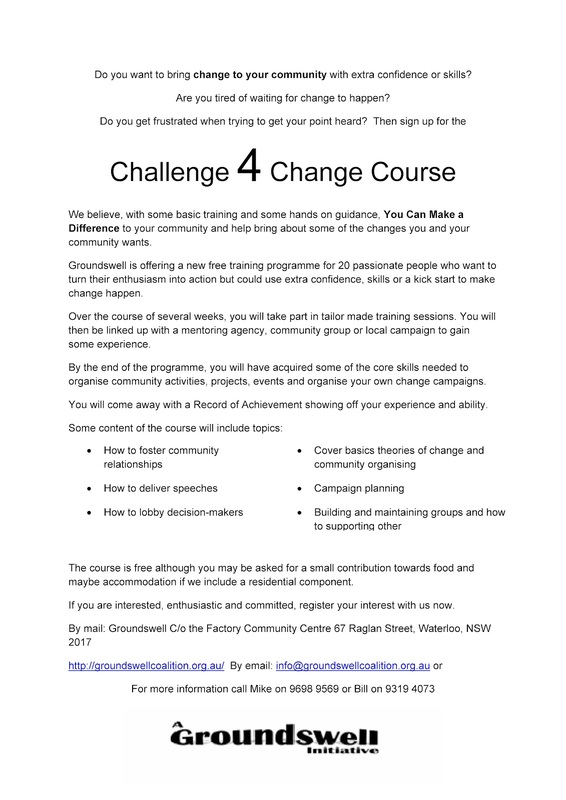 Details of how to apply for this position is available in the information pack. The Ultimo Community Centre will be hosting a 2 hour self defence class for women over 55. Come along, learn some skills and keep safe! Waterloo Safety Audit - Come along and be part of making your neighbourhood a safe place. 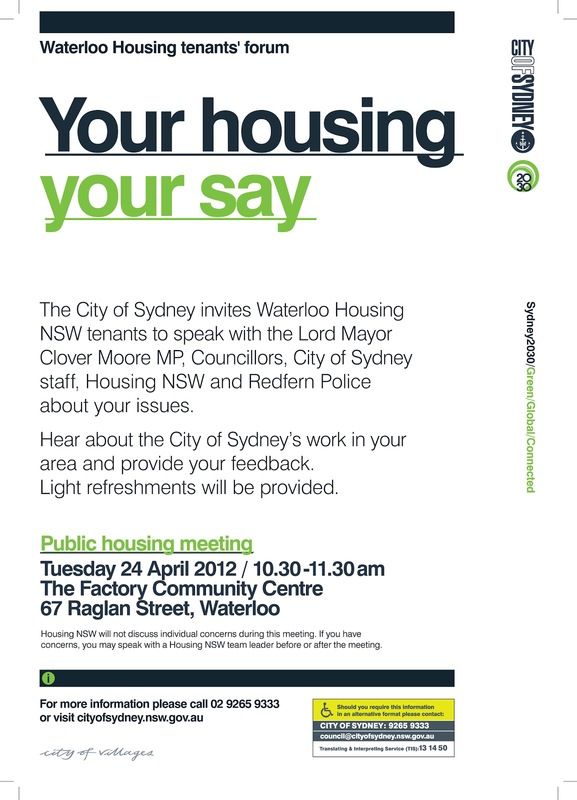 Come along and be part of the Waterloo Community Safety Audit. All you need to do is show up and be ready to tell us what you think could make your area safer. LEEAG and UNSW SIFE (Students in Free Enterprise) will provide 3 pre-employment workshops that will assist community members in being "job ready" to enter the workforce. The workshops will include topics such as how to write a cover letter, addressing selection criteria, interview skills and others. Registration is not obligatory and everyone is invited to attend. Banton Brothers Entertainment with the support from Save-A-Mate (SAM) are offering you the chance to take part in a free 3-day music workshops. Learn how to record and master your own music, whilst learning about drugs and how to take care of your mates. Spots are LIMITED, so if you’re keen and want to record with the best then, Contact Josh NOW!